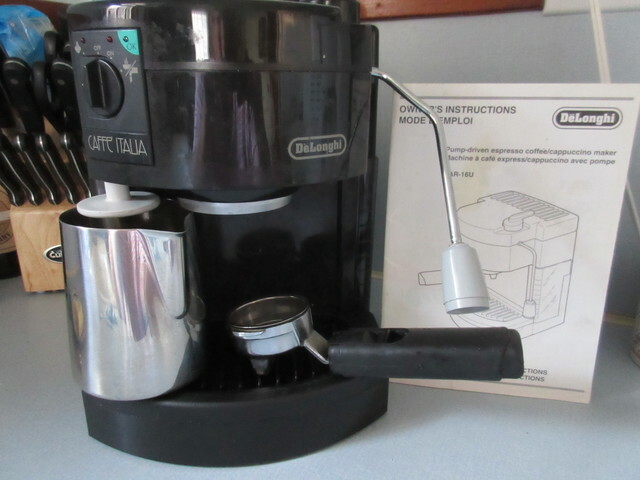 DeLonghi expresso coffee/cappuccino maker for sale for $25. Includes Owners Manual and box. In good working condition. Email or phone 250-837-4100 to arrange a time to view.